Rooting on your favorite team is hard work, so it’s always better with a delicious spread of dips, apps and treats. Making any of our favorite game day recipes below will just about guarantee victory at your next party! 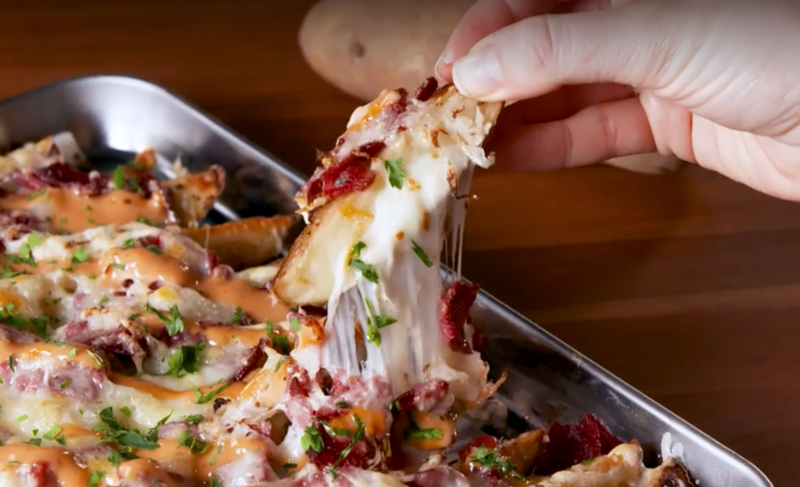 1) These Reuben Loaded Potatoes are like nachos, Reuben sandwiches and potato skins all in one. Need we say more? 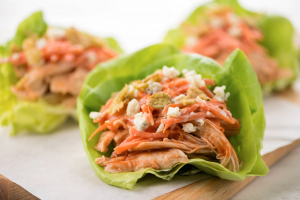 2) Our Buffalo Chicken Lettuce Wraps bring all the flavor of Buffalo wings with none of the guilt! Get the recipe here. 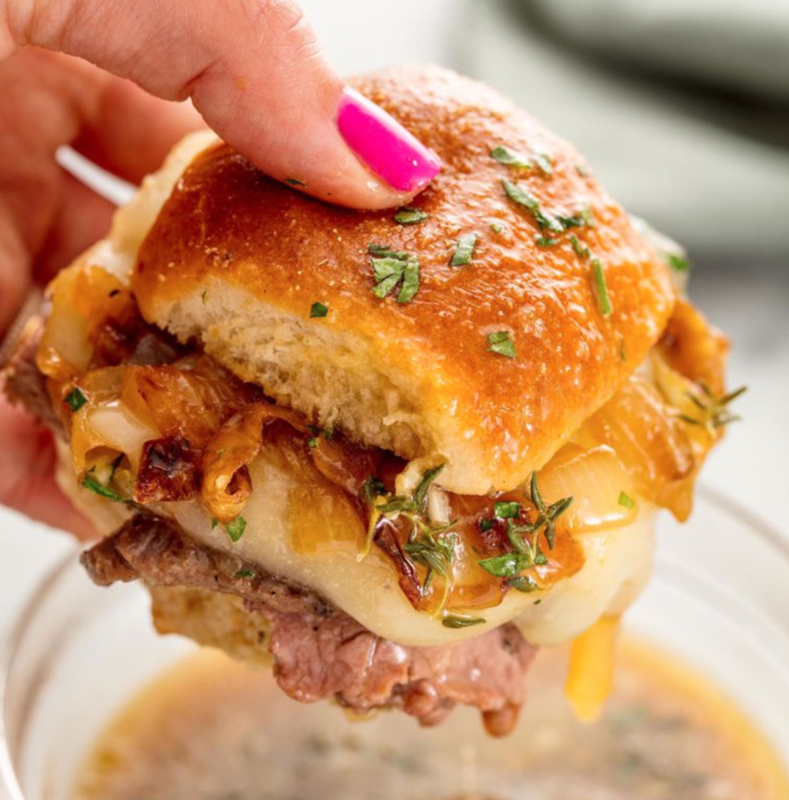 3) You’ll be sliding across the goal line with these irresistible French Dip sliders! Don’t forget the jus for dipping – that’s key to making this play work! 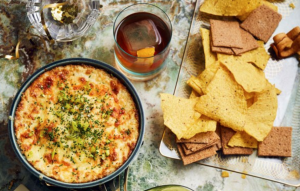 4) This Baked Three Cheese Onion Dip with Chive and Peperoncini is so good, you’ll be doing your best celebration dance after one bite. 5) What are you waiting for? 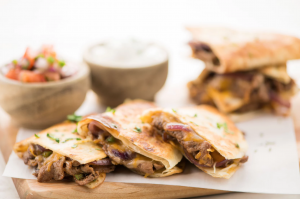 Go for the goal with our cheesy Acapulco Steak Quesadillas! Recipe here. 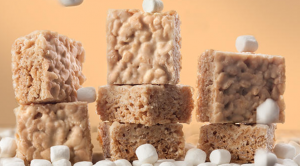 6) White Russian Cereal Treats combine a childhood and adult favorite all in one. Score the game winning touchdown with these sweet squares!